Jan Janssen, born in Kerkrade, Netherlands, in 1955, has run through every level in the hospitality business, studied at several Hotel Management Schools and has worked highly international in London, Antwerp, Zürich, Maastricht, Vaals, Barcelona, Bad Nauheim-Frankfurt, Paris, Brussels and Munich. He is a dynamic, creative and innovative hospitality professional with over 28 years of experience in the Hotel, Leisure and Conference business. Jan has been employed with Dolce International, a global hospitality company based in the USA, from 1999 until May 2007, first as Managing Director of Hotel Kasteel Vaalsbroek in the Netherlands, where he started his career in 1978 as General Manager. This operational period has been rewarded in the highly acknowledged award “Manager of the year“ 1997/1998 for the Hospitality Industry in the Netherlands, which accredits outstanding Management skills as well as trend implementation. After following a call from Bad Nauheim, Frankfurt, where he renovated the property and secured the workflow processes, he was promoted to the position of Director of Acquisition and Development for Dolce Europe. 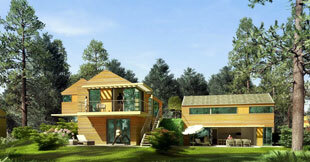 Influenced by his keen interest in Design and Construction, which allows a high level of creativity. Jan became the project manager for the renovation and conversion of the IBM Corporate training & learning center into the Dolce La Hulpe Brussels and the new build of the Dolce Unterschleissheim / Munich. 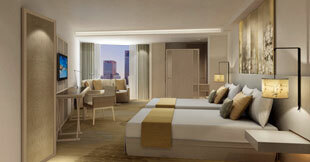 Both properties 4* / 260 hotel rooms and conference accommodation. 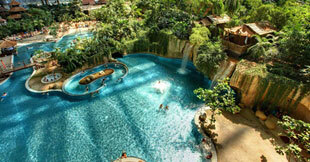 From 2008 till February 2011 Jan was employed by Center Parcs Europe N.V. he was appointed Strategic Development Director. During this period he was (and is still), the Development Project Manager for the new development of a 1.000 cottages Center Parcs-facility in Leutkirch, Allgäu (south of Germany) which is still ongoing. These services are now provided by Jan as an external consultant. During the years 1999 – 2011 Jan was involved in more than 10 major projects, either in renovation, new concept, acquisition, new build and conversions. Furthermore, he produced business plans and business analyses for several companies in the hospitality industry by using his professional experience and interpersonal skills. In 2007 he challenged himself by setting up his brand independent company, JJ Hospitality Consulting B.V., which focuses strongly on project management, project development, consulting and coaching within the broad spectrum of the Hospitality branch. Tropical Islands Holding GmbH as CEO from 1.11.2013-31.1.2018. Successful implemented and executed the „Turn Around Plan“ with the target to change from day destination to leisure park with a profitable business model.